A limited edition hardback edition of Lord of Shadows, available exclusively from Waterstones. Every copy will be hand-stamped with a rune that incorporates Cassandra Clare's signature and include a deleted scene featuring Emma and Julian and an exclusive map from the Shadowhunters’ world. 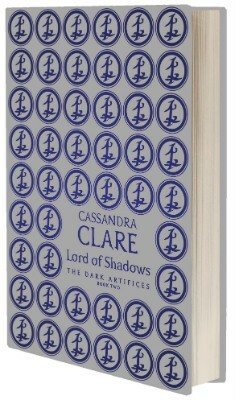 Sunny Los Angeles can be a dark place indeed in Cassandra Clare's Lord of Shadows, the sequel to the No.1 New York Times bestselling Lady Midnight, Emma Carstairs has finally avenged her parents. She thought she'd be at peace. But she is anything but calm. There is a print run of only a thousand copies of this deluxe hardback and is only available at Waterstones.com. Super read. Can't wait for the next book.